I have been a bit busy the past few days with some holiday preparations. I’m sure many of you can relate. I spent part of my day doing some last minute shopping with my wonderful sisters. We had a blast hanging out as we usually do. I’ve finished cleaning the kids room and weeding out the toys and clothes they have outgrown. 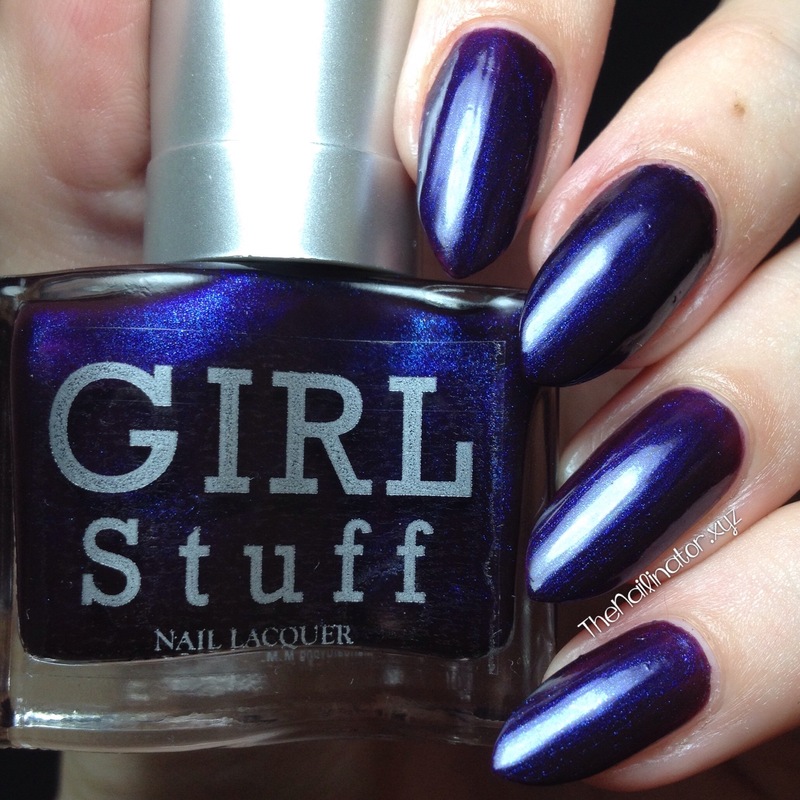 I have butter set out in preparation for whipping up some cookies later, so I decided to take a moment to write a quick post to share some swatches with you of the Girlstuff Forever Holiday Collection 2015 which I received last week. This collection is made up of three gorgeous shades that provide quite a bit of variety. 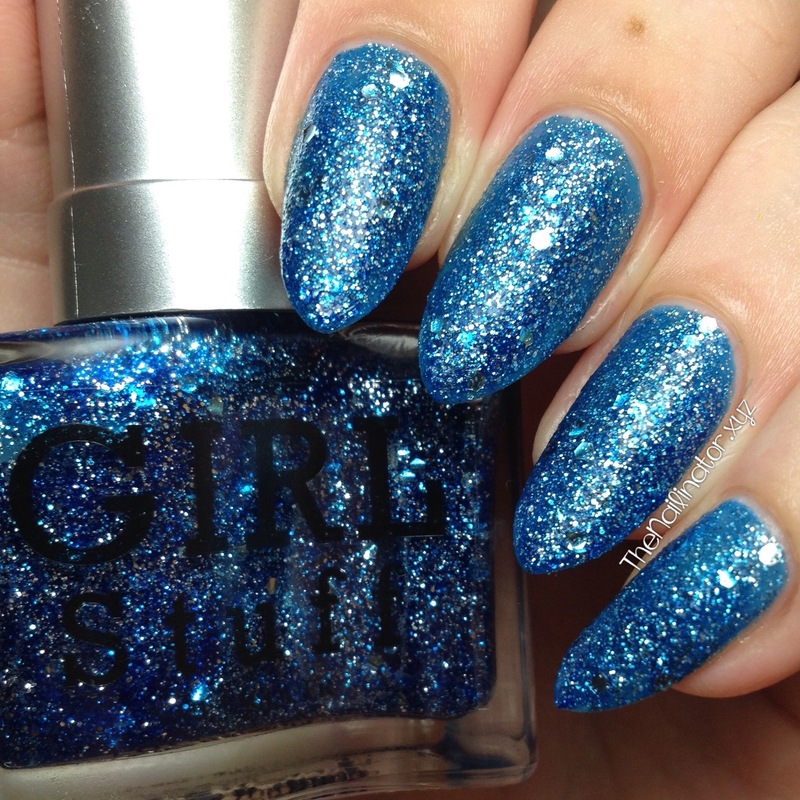 Utopia is a gorgeous icy blue crelly loaded with silver shimmer. Two coats will give you full coverage. I love this one for the holidays and can totally see myself wearing this at other times of the year. Maybe during a beach vacation? 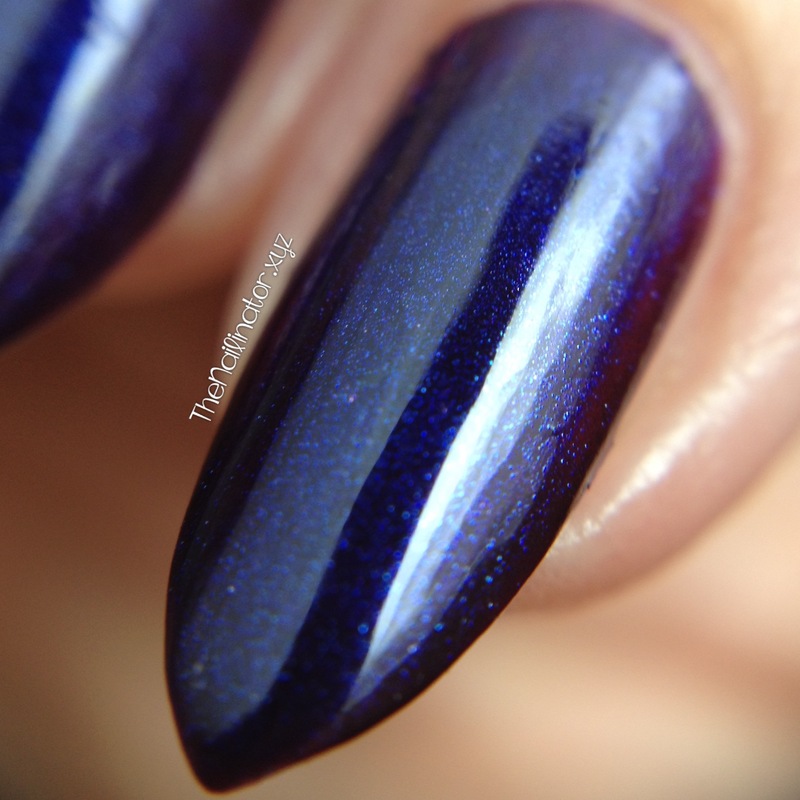 Next up is Zenith, which is kind of a cross between a frosted and chrome polish. It is a two-coater and gives a very festive feel! I promise, any bubbles you see in this swatch were total user error. I was multitasking and running on too little sleep. Please forgive me. It is very pretty, and I’ve been enjoying wearing it the past several days. Gorgeous isn’t it? 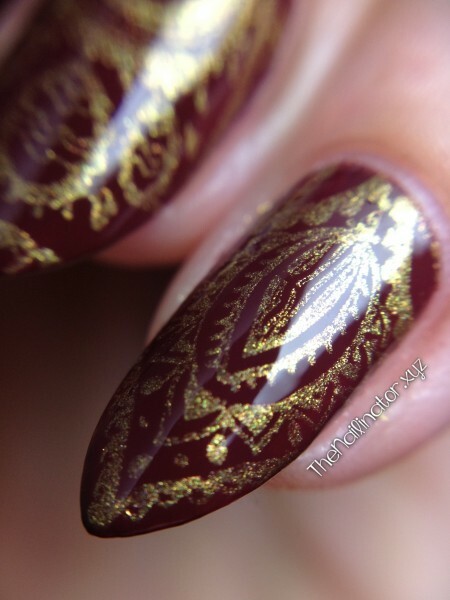 I absolutely love polishes like this one. 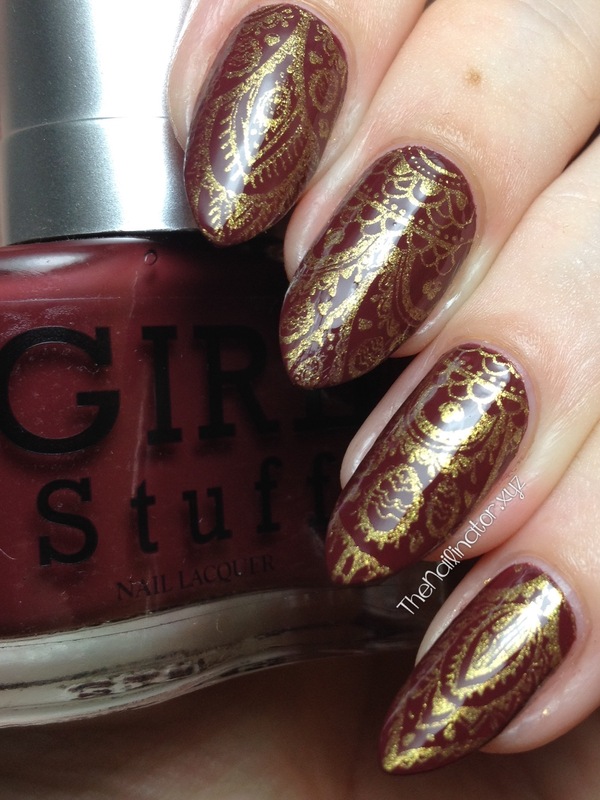 Well, what do you think of this holiday collection by Girlstuff? Which is your favorite? Let me know in the comments below. I hope you have plans to enjoy some quality time with the family during the holidays. I am thrilled to have my hubby around for the next two weeks. Have a great night (or day) and keep smiling! Sorry for being so quiet around here lately. I blame it on a wedding in the family and some related festivities, my son’s birthday party, lovely hormones, having my nose stuck in a book, homeschooling my kids, and just being busy with real life in general. You all know how it goes. While I have been too busy to blog, I haven’t been too busy for doing my nails. Recently I’ve enjoyed wearing some of my favorites and simply polishing nails for several friends. Today, I’m sharing a stamped design using MJ XXVIII which is available from My Online Shop. 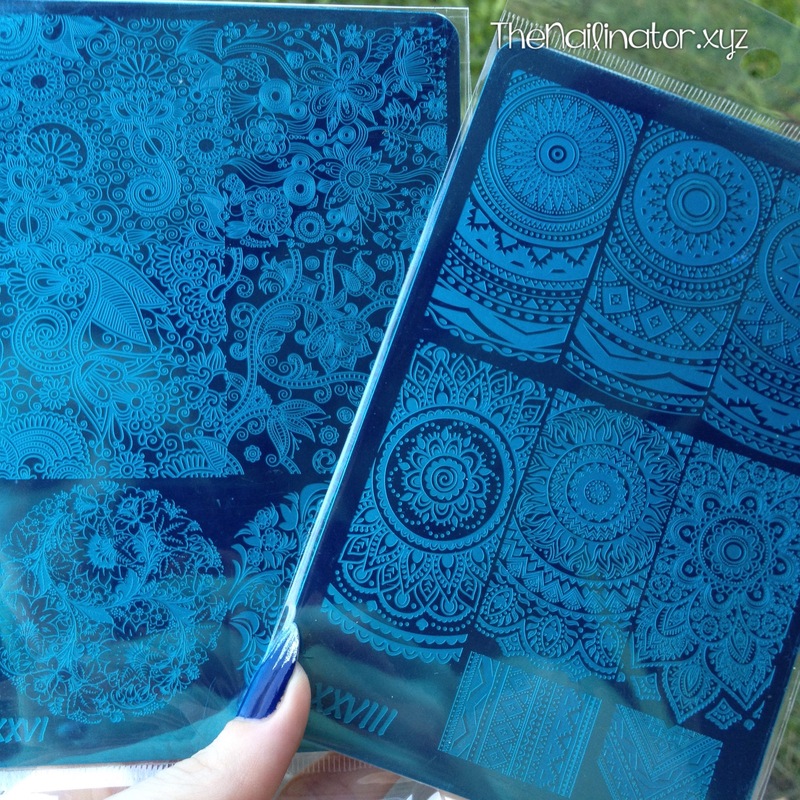 Meann was kind enough to send me a couple of the new MJ stamping plates to test out along with some gold and silver stamping polish. Yay! Every single plate I have from MyOnline Shop stamps beautifully and this one is no exception. I’ve included a couple of macro shots near the end of this post because it’s my blog and I can do stuff like that if I want to. Ha! My base is two coats of Girlstuff Chestnut. My sweet hubby surprised me with this pretty over the holidays, and I am happy to show it off now. I think it fits in with Marsala—the “color of the year”—don’t you? I used two coats for this and had no issues with application or removal. 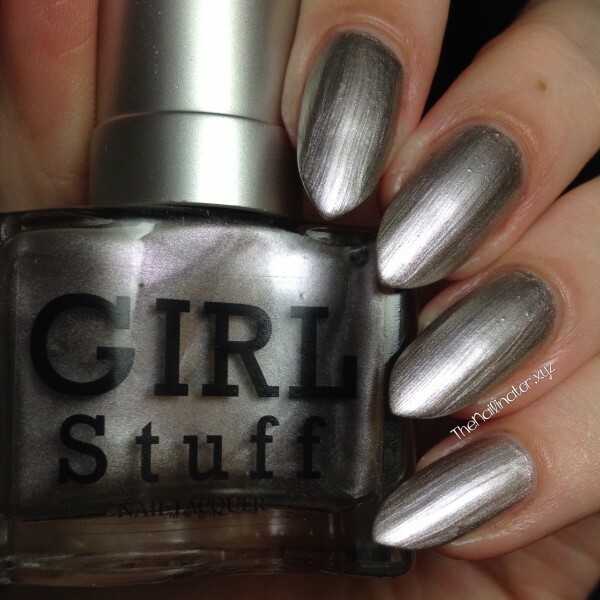 The formula was great and it was quick drying like all Girlstuff Polishes. 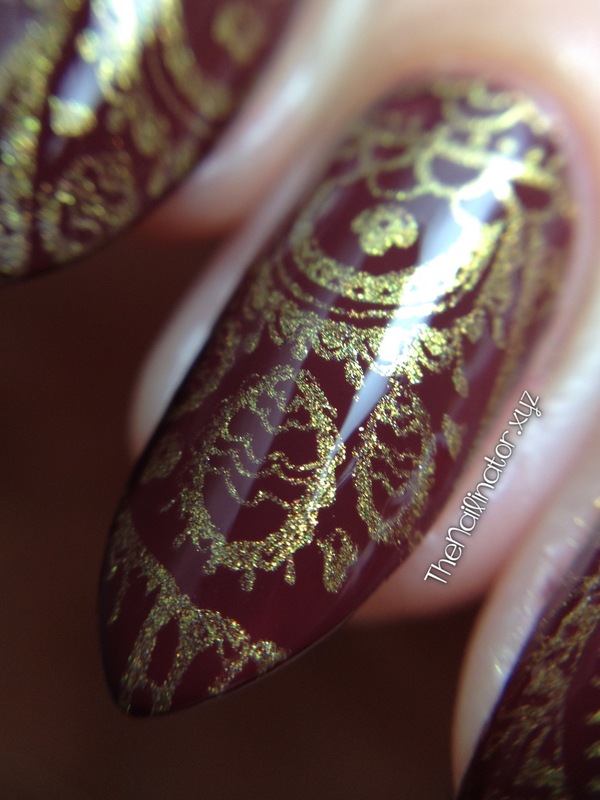 Look at the detail in this stamping! I used the bottom right of the larger sections of etching on the MJ XXVIII as it reminded me of henna designs, and I liked the idea of gold over Chestnut. It’s quite pretty if I do say so myself. Well, that is all I have to share for today. I hope you are all having a lovely week so far. Keep smiling! I hope you are having a great start to the year. While we enjoyed our holiday break, things got off to a bumpy start for us yesterday with getting back to work and back to doing school with the little ones. I was originally planning on doing a glitter placement mani to ring in the new year. But since I was sick and preparing for a trip out-of-town, I wanted something that was quick and easy but didn’t skimp on the bling. I also wanted something that wouldn’t chip off while I was out-of-town. My hubby surprised me by bringing this beauty home one day while we were in Texas this past Summer. 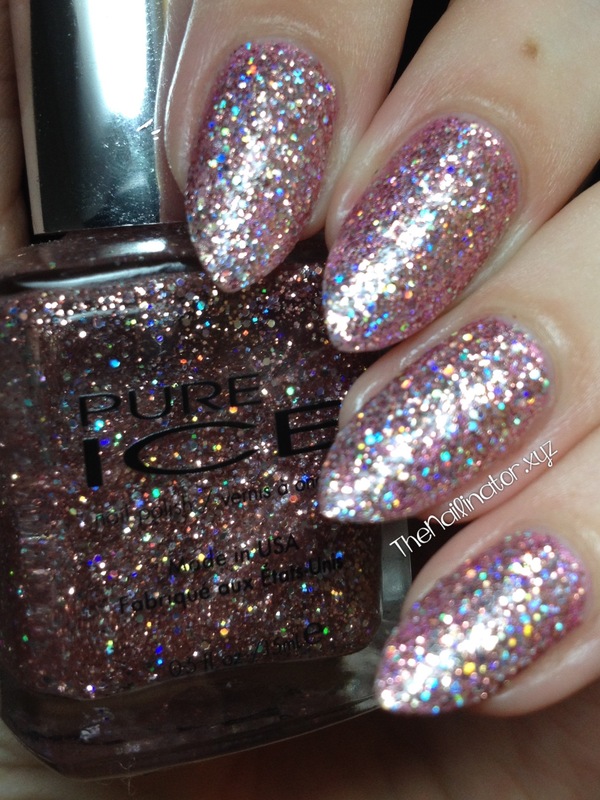 Pure Ice Spit Fire is a gorgeous glitter bomb with multi-sized hex and square glitters suspended in a clear base with a pinkish tint to it. The smallest glitters are light pink, but there are also some bigger silver holographic glitters that give this some major sparkle. I started with a thin coat of Color Club Miss Bliss which is a holographic pink polish. After that dried, I put scotch tape around my nail and cuticle area to minimize cleanup time. Then I used the bottle crush to put a drop of Spit Fire on the sponge and then dabbed the glitter onto the nail. I kept working until I was satisfied with the coverage. 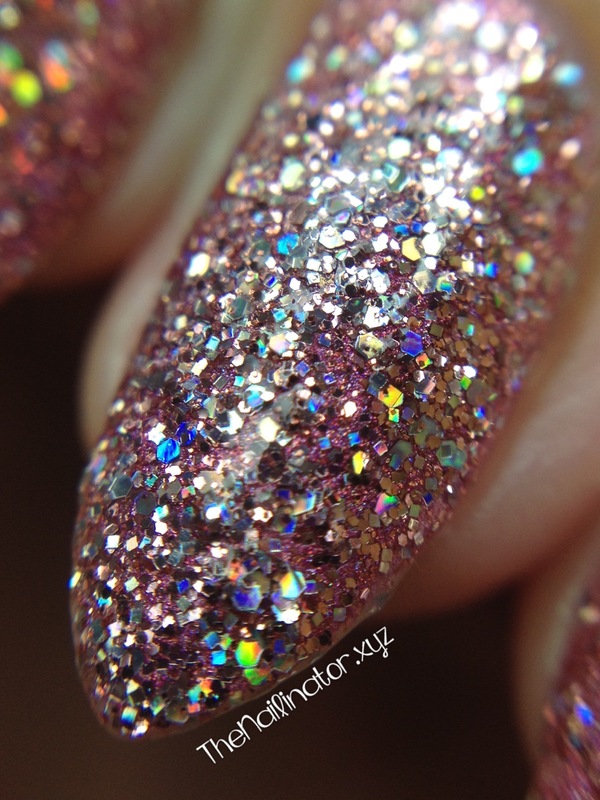 I included the out-of-focus shot so you can see more of the holo sparkle. I received many compliments on this flashy mani. Check out this macro shot! Oh so pretty! Tip: Use an orange wood stick to help with glitter cleanup around the cuticle area. 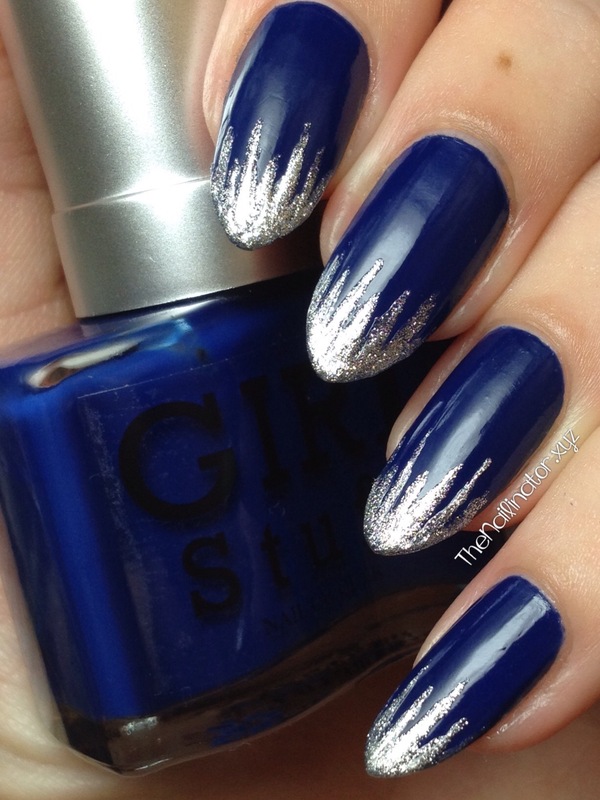 Just use your flat brush to brush some polish remover on the cuticle and then gently scrape off any glitter that is crampin’ your style! What did you sport on your nails for the New Year? I hope you have a great day and fabulous year to come! Any grand plans for the New Year? We were supposed to leave Cebu early yesterday morning to go out of town to be with some family on the next island over. But a tropical depression is passing through and has put a damper on our plans. The coast guard (wisely) has suspended ferries and boats between islands in the areas affected by the winds and rain. Perhaps we will be given the green light sometime today to go. Fingers crossed! I’ve got a lovely collection to share with you today. Girlstuff Forever has released a glitter-packed, textured trio for the holidays, and I’ve got swatches right here! For each swatch, I applied a base-coat and two coats of polish. 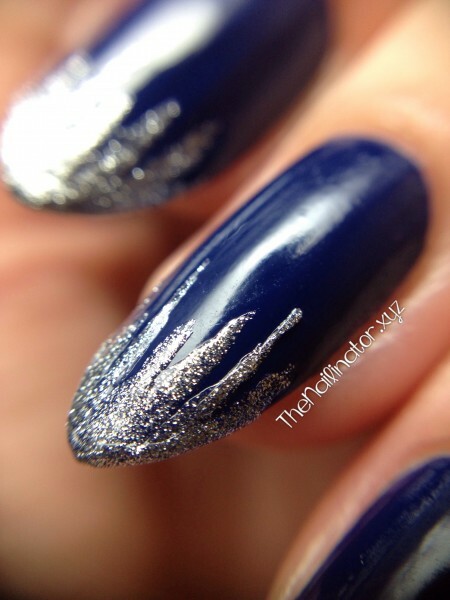 I didn’t apply topcoat since these polishes dry to a textured finish, but you could add topcoat for extra sparkle. I’ve included macro shots so you can see the glittery, textured goodness close up as well. Enjoy! 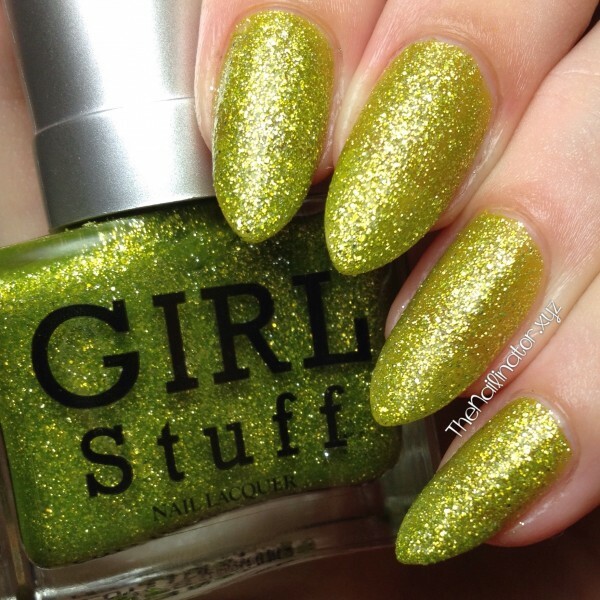 First up in the Girlstuff Forever Holiday Collection is Love. 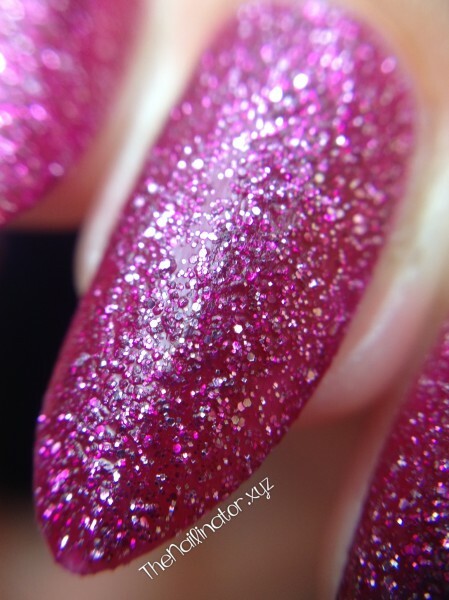 Love is a pink jelly packed with tiny silver hex glitters and even smaller square glitters. 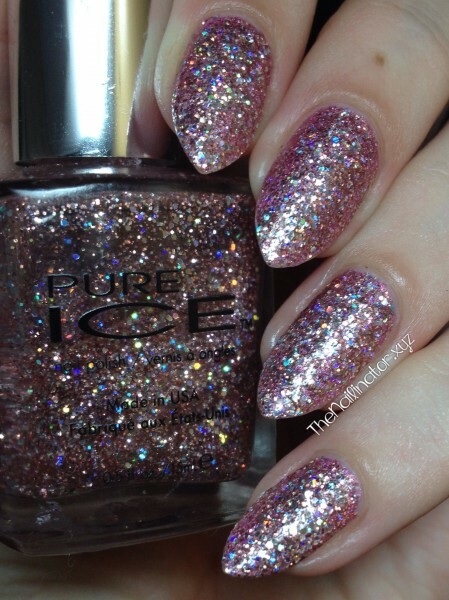 This is the most girly shade of the collection, and I can see me rockin’ this on Valentine’s Day. Hope is a very unique color. It is a greenish-yellow jelly base with the same tiny hex glitters and square glitters as Love. It is, sadly, not the most flattering color for my pinkish (cool) skin tone but I know that ladies with a warmer skin tone could really rock this. It is so pretty despite not being so flattering on me. Peace is my favorite of the trio. I guess I’m just a huge fan of blue polishes. Ha! Peace is a blue jelly base loaded with the same glitters as the other two, but it also includes a sprinkling of some bigger hex shaped glitters. As can be expected with glitter polishes, these take more work to remove than a crème polish would. Cleanup around the cuticle was very easy. Each of these polishes retails for Php 140.00. Girlstuff Forever is a cruelty-free brand which means they do not test on animals. The polishes are all quick-dry and are also 5-free which makes them perfect for our miniature fashionistas. 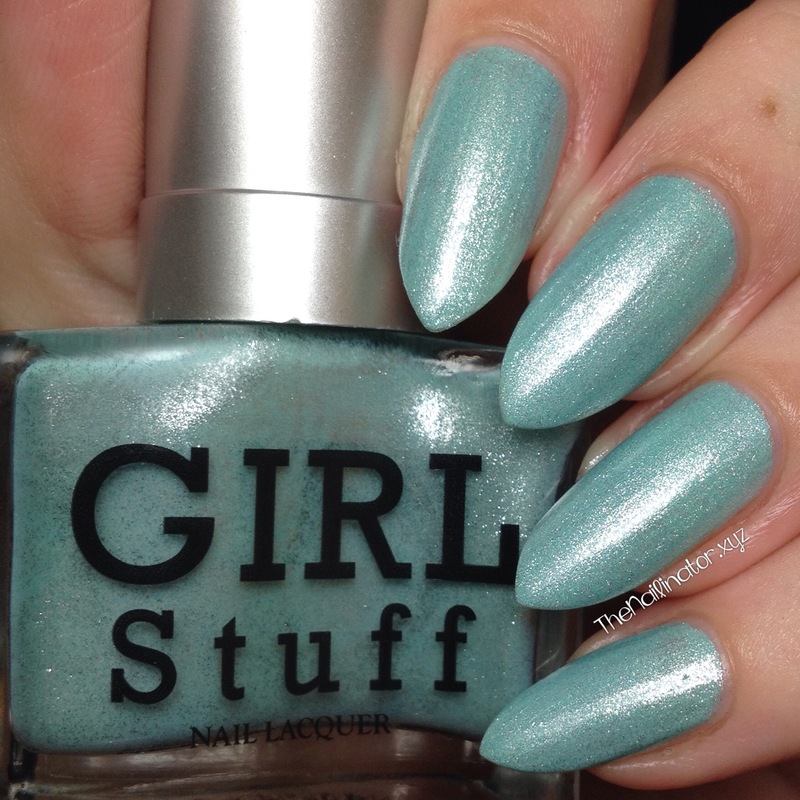 Check out the Girlstuff Forever website to find a kiosk near you or to order directly online. I hope your new year is filled with much love, hope, peace, laughter, and many smiles and fun manicures! Just a quick snippet tonight as I’m trying to get to bed at a somewhat decent hour. I posted a little teaser for these on my Instagram last night and now I’m happy to share this lovely nail art. These are the only icicles I’ll be seeing this holiday season as it is always warm here near the equator. Oh well, I still enjoy wintry nail art. I’ve got a little tutorial video I made for my next nail art post, but I’m still trying to figure out the best way to edit it. I’m hoping to share it this weekend. Are y’all having a great week so far? Enter your email below to get updates on new nail art, polish swatches, product reviews, and more.